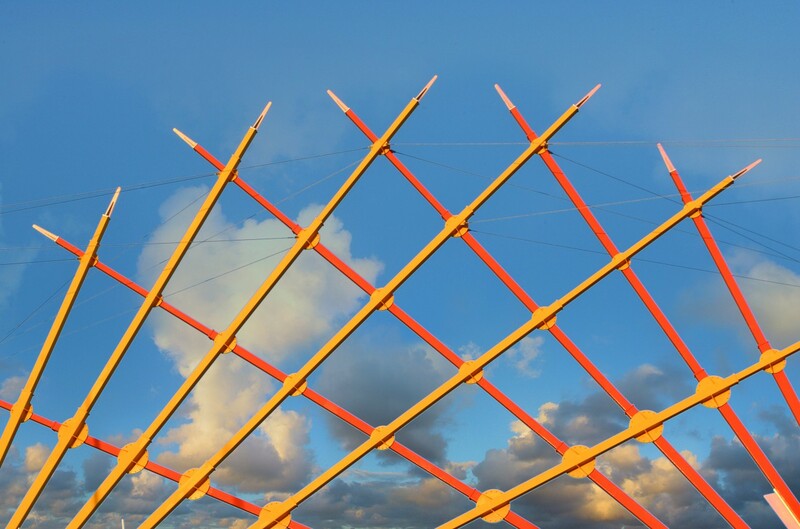 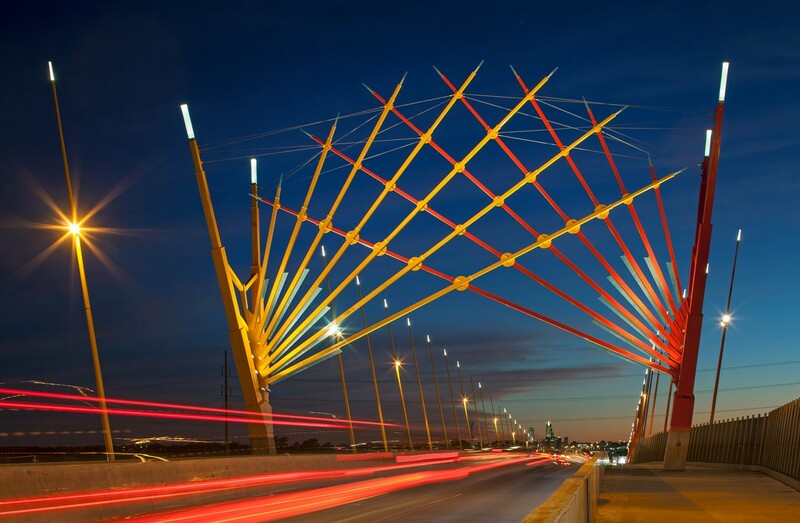 In 2004, the Iowa West Foundation funded a community based public art master planning process designating more than 50 sites for potential placement of public art in the city of Council Bluffs. 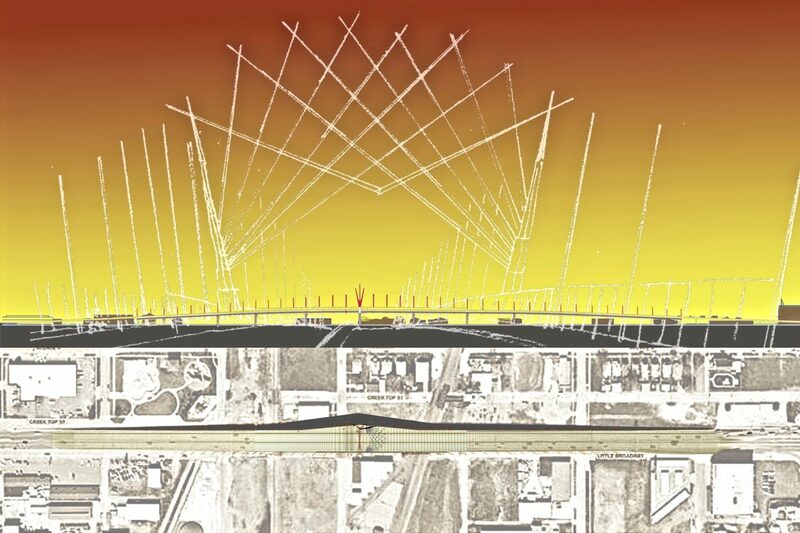 Broadway Viaduct was high on the list because of its location at the center of the most prominent artery in the city, and because it would soon be rebuilt. 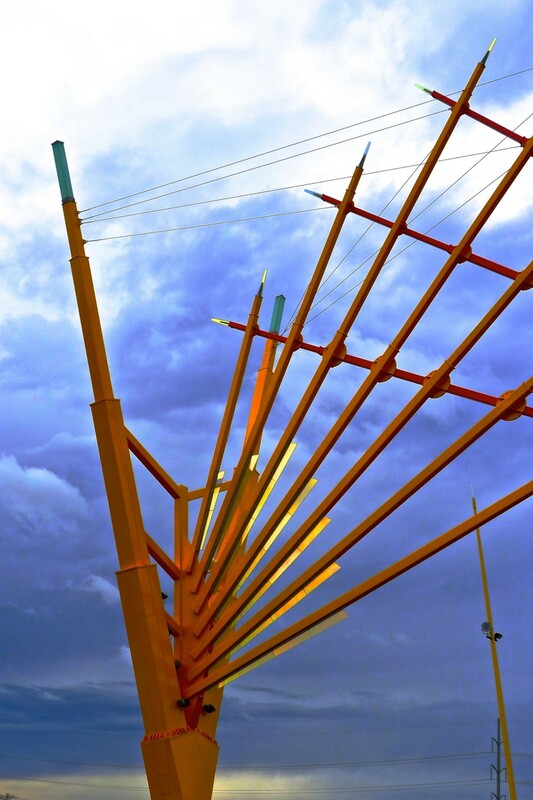 Ed Carpenter was selected by Iowa West’s public art selection committee and worked for four years with a large design team on the installation shown here. 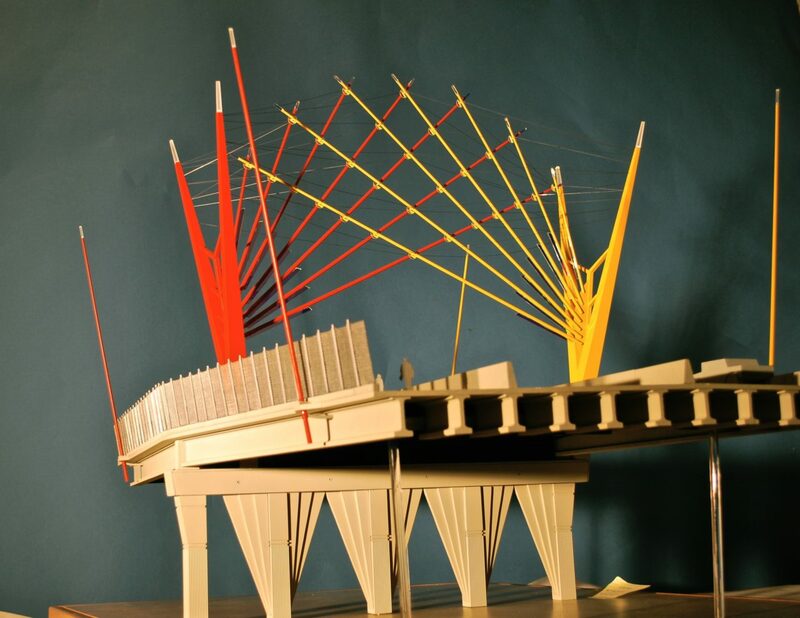 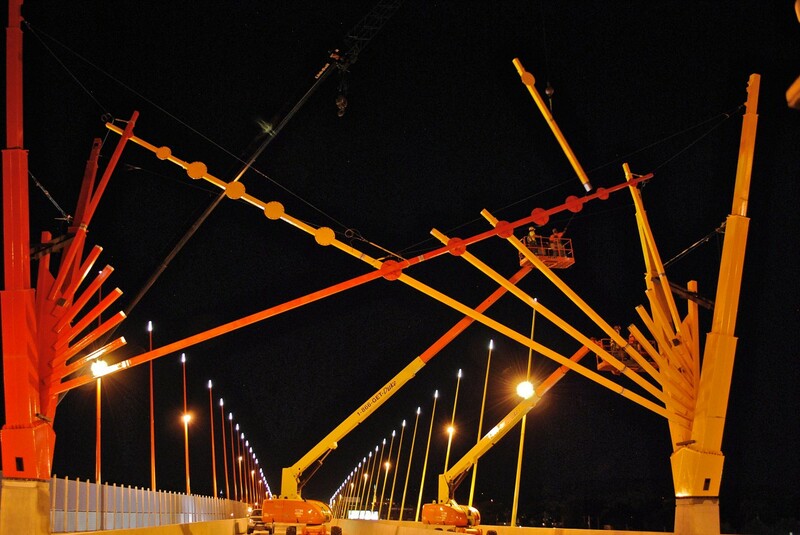 Carpenter assisted with the overall aesthetics of the new bridge as well as conceiving his gateway at its center. 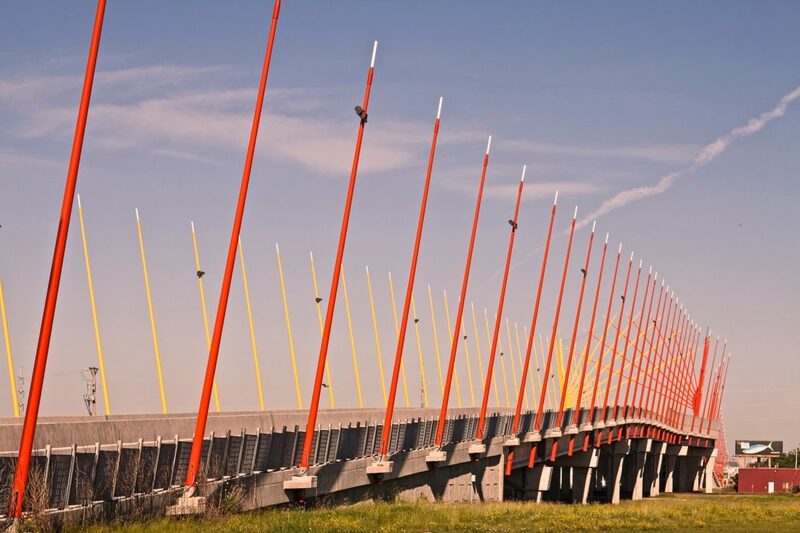 The experience of passing over the half-mile-long viaduct is enhanced by the incorporation of 111 ascending, tilted, and brightly painted light poles at 40’ intervals on either side. 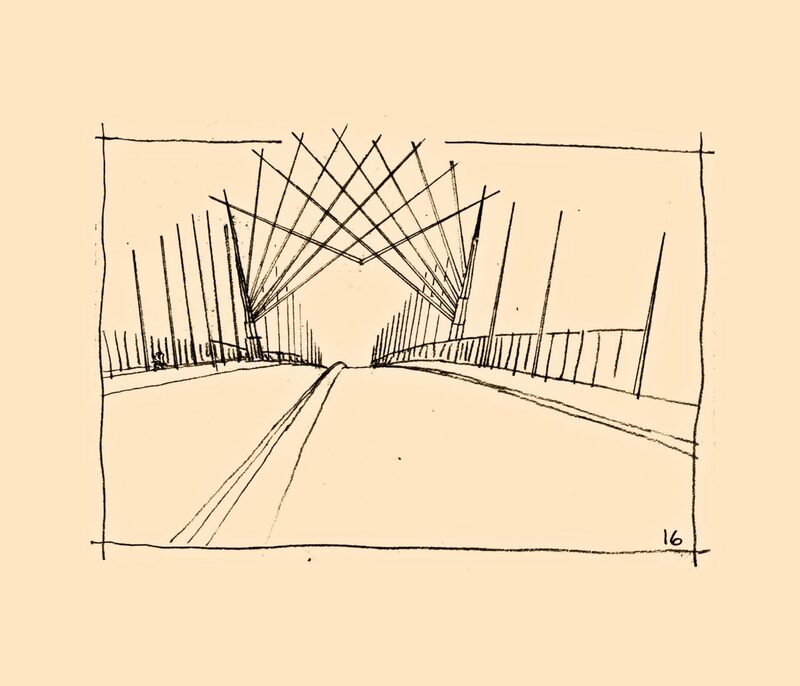 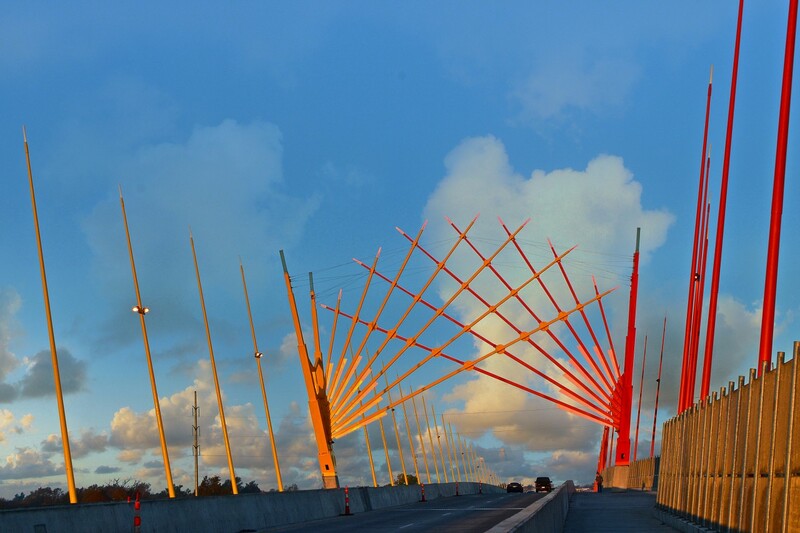 The gateway itself frames dramatic views to the east and west, and may suggest a sunrise or the interweaving of disparate parts of the community. 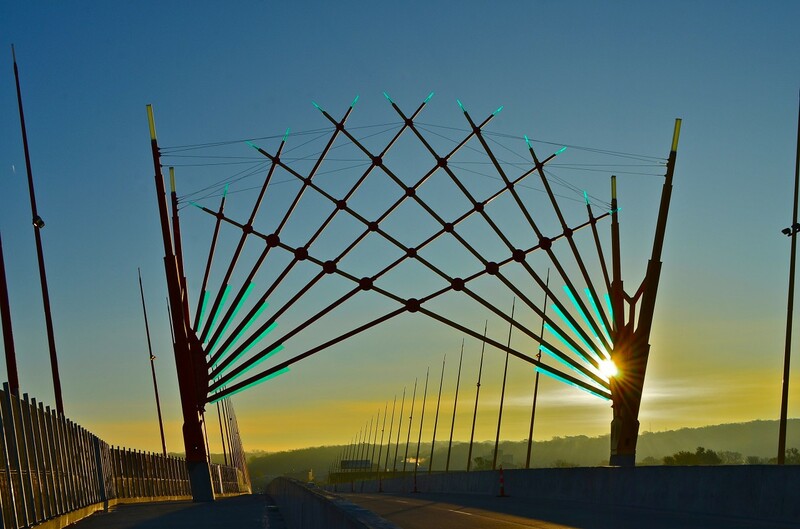 Fifty tons of steel were incorporated in the structure spanning the four lanes of US Highway 6 as it passes through the heart of Council Bluffs. 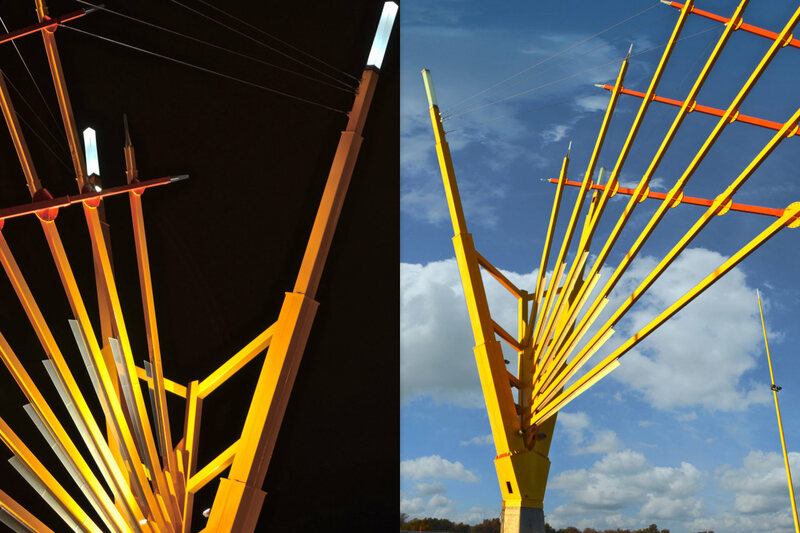 Materials: Steel, aluminum, laminated dichroic glass, stainless steel cables and hardware, LED lighting.